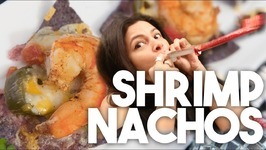 A great appetizer recipe for you. 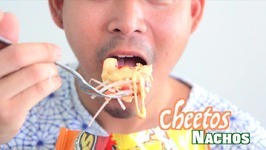 Today we're making Cheetos Nachos! 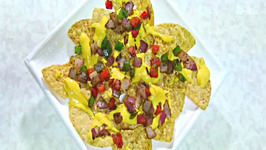 Rebecca Brand show how to make the BEST NACHOS EASY with the most classic of recipes. 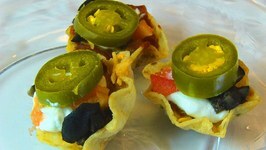 Follow these steps to make a fantastic NACHOS dinner fast. 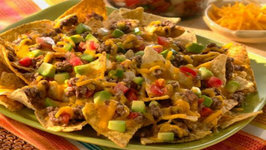 Who doesnt love Nachos? This recipe takes a sophisticated spin to make this elegant enough to serve at New Years Eve, the holidays or any celebration. 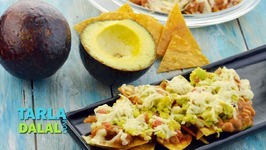 Guacamole, an outta-this-world topping for nachos, is something you would surely have enjoyed at Mexican restaurants. 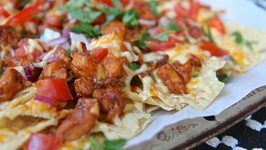 Easy, BBQ Chicken Nachos!! Loaded with juicy BBQ chicken, tons of hot, stretchy cheese and fresh toppings! 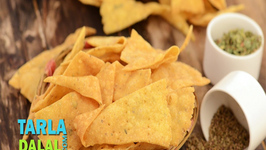 These nachos may quickly become a favorite in your house like ..
Chana Chor Garam cooked chickpeas that are flattened, fried and seasoned is an all-time favourite street food in India. 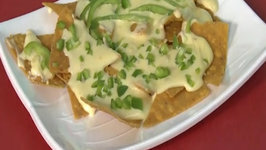 In this episode of the "Game On" series, I'm making a menu item from the New Orleans Super Dome, home of the New Orleans Saints. Betty demonstrates how to make Nacho Cups. 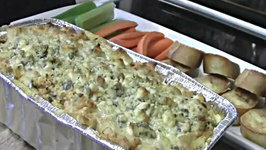 This is a perfect finger food for a Super Bowl party! 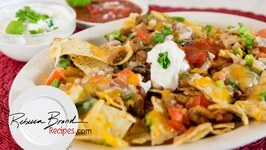 Easy Beef Nachos is a simple version of the Mexican classic. Beef is combined with onions, garlic, vegetables and spices to create a delicious meat base. 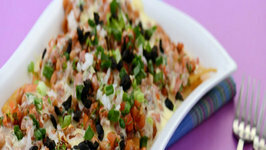 Nachos Chips, one of the best accompaniment for dips! 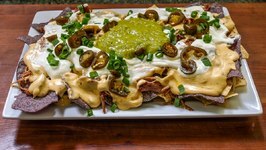 Betty demonstrates how to make Steak and Beer Cheese Nachos. 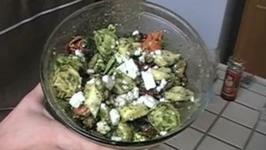 This is an appetizer similar to the one served at Saul Good Restaurant Pub in Lexington, Kentucky, which was .. 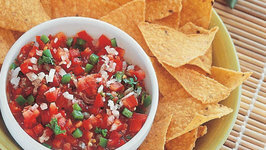 The most popular in mexican cuisine is salsa, it taste great with tortilla chips but can also be used inside mexican wraps...very easy to make and can also be made and .. 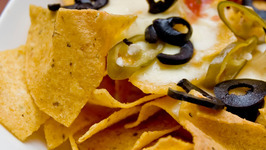 Cheese is melted over corn chips and heated quickly in the oven to make nachos. 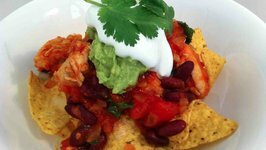 Nachos with Salsa and Baked Beans, quick and easy starter! 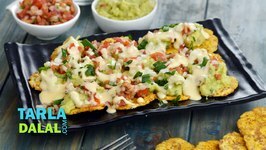 These nachos taste great with a combination of corn chips, baked beans, salsa and cheese sauce. . . . A must try ! 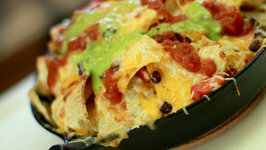 Everyones ordered nachos at a sports bar or a restaurant only often find them kinda wimpy. A mound of chips barely covered with cheese and an ice cream scoops worth of ..
Football season is here and it's time for appetizers. 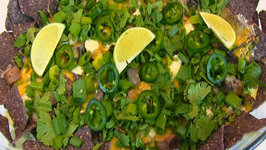 Check out this great Smokey buffalo chicken dip with smoked jalapenos. 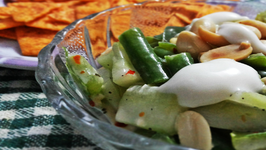 If suddenly some guest arrives at your home and you dont know what to serve them as an appetizer, then this salad is your savior. My favorite bean dip of all time! 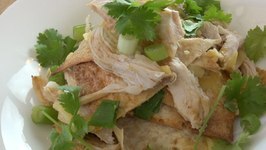 It's so easy and adaptable delicious year round.